What Are Push-In Therapy Services? Learn more about push-in therapy services. What does it mean? What are the benefits? How can you push into the classroom to deliver therapy? 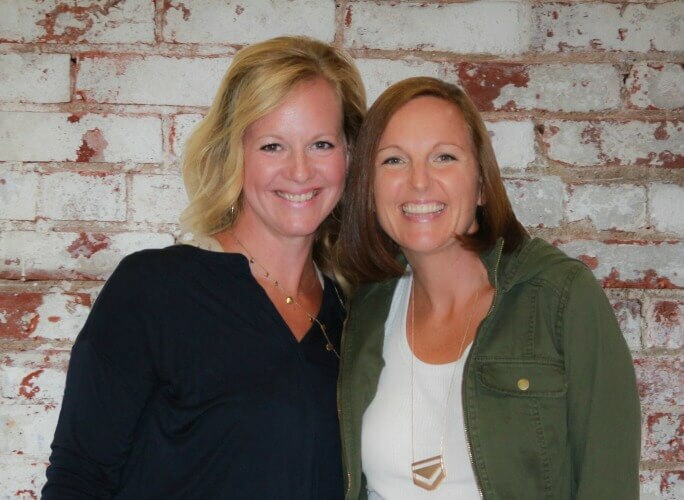 If you are a school-based speech, physical, or occupational therapist, a parent of a child who receives extra services at school, a teacher, or an intervention specialist, you have undoubtedly heard the buzz about something called “push-in services”. In recent years, and with the implementation of the No Child Left Behind Act, there has been a focus on providing all students with the opportunity for a mainstream education. 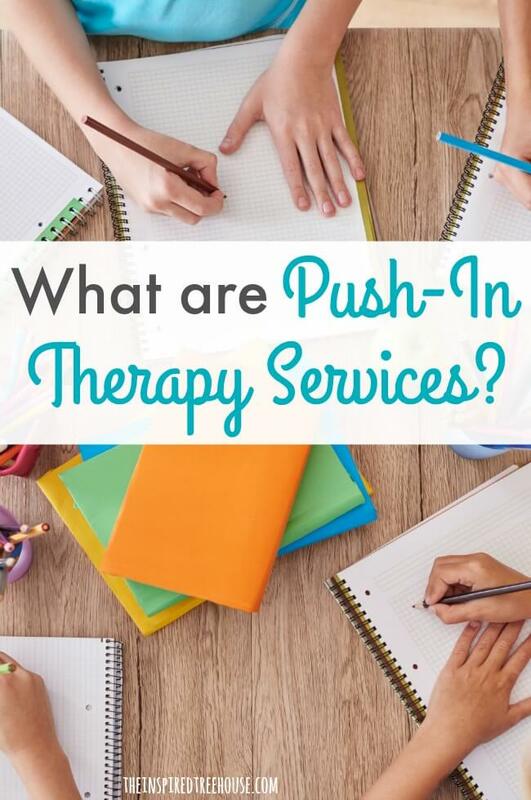 The term “push-in therapy” refers to physical, occupational, or speech therapy sessions (or other specialized educational services) that are delivered within the context of the classroom or during other naturally occurring events during the school day. Other terminology you may encounter referring to this type of service delivery model include: inclusive, integrative, or contextual therapy. Not everyone is too fond of the term “push-in therapy”. Many therapists think that referring to this model of therapy as “push-in” can sound…well…pushy. The way we view this term is a little bit different. We see “push-in” therapy services as a positive push to provide inclusive, integrative, and collaborative services to kids in the school setting. We also use this terminology because this is the most common way therapists and other professionals are searching for information on this topic. We want as many people to find this information as possible! So don’t get too caught up in the terminology. When we say “push in”, we mean inclusive or integrative or contextual therapy services. What are the benefits of the push-in model? It turns out that there are many benefits to providing therapy services within the natural contexts of the classroom and other areas of the school building. 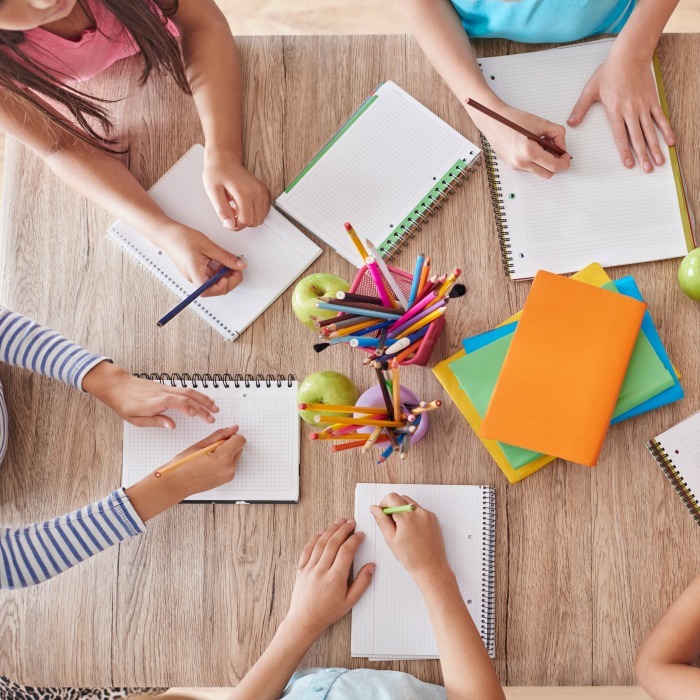 When therapy services are provided in a traditional classroom setting with peers, it’s often difficult for kids to discern which students the therapist is there to support. With push-in services, students with learning difficulties and other special needs aren’t being singled out. They don’t leave the group to receive services so unwanted attention isn’t drawn to them. Similarly, when kids aren’t being pulled out for services, the flow of the classroom routine isn’t disrupted. The services are seamlessly woven into the naturally occurring events of the school day. When services are delivered within the natural contexts of the school day, therapists gain a better understanding of what’s going on in the classroom and other learning environments and teachers/other staff gain a better understanding of the services therapists provide. There is more time to transmit information and strategies between professionals and more time for therapists to model and demonstrate strategies that can support students in the classroom. Other students who may need extra support can also benefit from the therapist’s presence in the classroom. Often, teachers spend a great deal of time and energy providing extra attention to students who aren’t identified for special education services, but who need a lot of additional support and intervention. Frequently, those students are struggling with the same or similar skills as the students on a therapist’s caseload. Interventions can be provided to the whole class or a small group, meaning that other students can reap the benefits too. 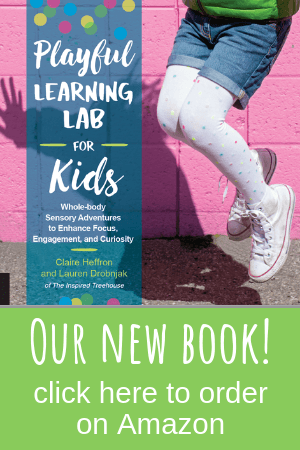 The classroom (and other areas of the school) are where a student puts all of those important functional skills to use – fine motor, gross motor, cognitive, self-care, social, and more! When skills are taught and reinforced in the natural setting, there is a better chance for carryover and generalization. As an added bonus, when evaluation, data collection, and progress monitoring happen in the classroom, therapists are able to document true functioning and performance and how it impacts educational outcomes and access. Working into the classroom and other natural settings within the school also allows for on-the-spot problem-solving as a therapist and teacher observe and consult about what issues or problems the student is encountering throughout the school day. The therapist is able to see these issues through a completely different lens and offer a unique set of ideas and strategies to meet the child’s needs. When a student is pulled out for therapy, the therapist must recreate these challenging situations, but with push-in services it is easier to see firsthand what the child needs. This benefit often works both ways – with typically functioning children modeling positive behaviors and skills for children who need extra support and with children who have special needs showing skills, strategies, and activities they have learned in therapy to their typically functioning peers. What are the challenges of providing push-in services? This was probably the most common complaint from therapists and teachers about this model of therapy. Many therapists found that it’s difficult to know when a classroom will be working on an activity that is related to the goals and objectives they have included in the IEP. And, understandably, teachers aren’t always able to stick to a precise, rigid schedule to be certain that the class is engaged in something relevant to therapy goals at the exact moment the therapist comes to the room. Relationships and interpersonal issues also come into play when you need to work closely with another professional, collaborating and problem-solving together. The classroom is a teacher’s “territory” and some may find it difficult or disrupting to have another person in the mix. The teacher and therapist will inevitably have differences in their personalities, styles, and approaches – which can either make for an awesome partnership…or frustration and resentment. Therapists in our survey also mentioned feeling uncomfortable or not wanting to step on the teacher’s toes by coming into the classroom. There is a lack of professional development opportunities for therapists and teachers to learn effective strategies to maximize the benefits of push-in therapy for the whole classroom. Because of this, many therapists feel that they’re lacking confidence about how to effectively provide push-in services. They also feel that they’re uncertain about carving out their role or place in the classroom setting. Another common challenge is that therapists feel that when they come to a classroom, they aren’t offering support or services that are relevant to the child’s IEP goals and objectives. For example, if the child is working on a handwriting goal in OT but the OT comes to the classroom for a session and finds that the students are working on math with manipulatives, they may not feel that their support or services are relevant at that moment. 1 || Learn how to introduce fidget tools in the classroom, create a plan, and work with the teacher to implement a fidget tool strategy in the classroom. You can even work with students in the classroom to create their own DIY Fidget Toys! 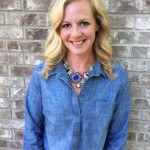 2 || Try pushing in to offer services during classroom center time. These 100 Classroom Center Ideas for Building Fine and Gross Motor Skills should help get you inspired! 3 || Get kids moving and learning by working with the teacher to facilitate one (or more) of these active learning games in the classroom. 4 || Provide support during circle time or while they’re waiting in line or walking in the hallway. These ideas should get you started! Want to know more about pushing into the classroom and how to tackle these challenges in your therapy practice? Sign up below to learn more about this topic and to be the first to know when our new course, Pushing into the Classroom: Practical Strategies for Pediatric Therapists, is released! Thank you for all your tips and strategies. I have had a hard time with teachers being on board. Especially older teachers who are in the mind set that direct 1:1 time has the most bang for the buck. One teacher specifically will give me things to work on when I come into the room and singles the two children out. I do not feel this inclusive. I mind as well be working with the children in my therapy room if I am doing something different on the other side of the room. Do you have any suggestions on encouraging teachers like this?